Sony Ericsson W810i is a mobile phone from highly successful Sony Ericsson Walkman phone series which includes Sony Ericsson W800i and K750i. Been a Walkman phone, it’s a powerful music player which fulfills your need of mobile music lifestyle with a digital music player, FM radio, Disc2Phone music management software and accessories that make music listening pure pleasure. 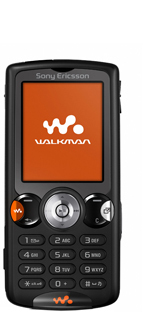 In addition to Walkman features, W810i also includes a 2-megapixel camera which capable of taking video, EDGE, quad-band and Memory Stick PRO Duo slot. Mobiledia reviewed Sony Ericsson W810i Walkman phone concluded that “Managing to integrate no only an unrestricted music player, but also RDS radio, the W810i follows form as the next flagship music phone from Sony Ericsson. Check out another review of SE W810i by LordPercy and even more.